Touring on a motorcycle is one of the best leisure time activities in the world. Discovering unknown landscapes and exploring awesome motorcycle routes with friends, makes it one of the finest recreational activities there is. 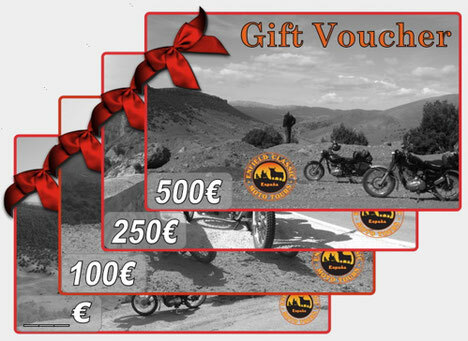 If you are trying to find the perfect gift for a biker friend or relative, then an Enfield Classic Moto Tours Gift Voucher is an excellent choice and the ultimate present for birthdays, Christmas, retirement or any other occasion. Choose the value of the Gift voucher you would like 100€, 250€, 500€ or add your own amount. 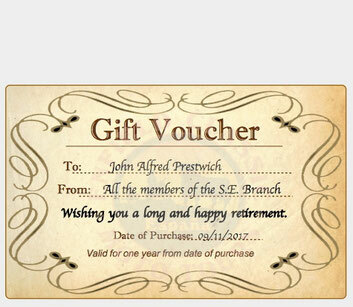 Indicate if the Gift voucher should be issued to a particular person or if it should be left blank so that anyone can use it. We can add a message or greeting also. Let us know how you would like the gift voucher to be delivered, - email, postal delivery, email and postal delivery or personal pick-up. Send us your request and we shall send you the link to our secure booking page. 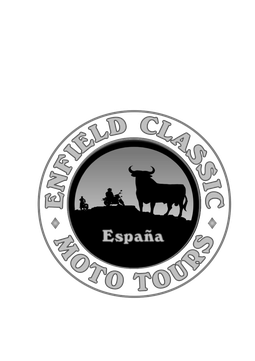 Enfield Classic Moto Tours gift vouchers can be redeemed for any of our tours!